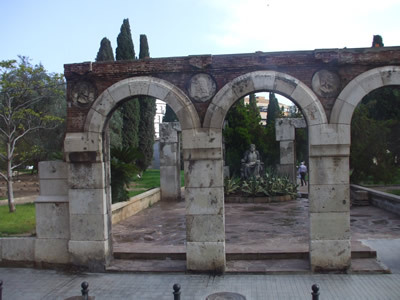 Founded by the Romans in the year 138 BC Valencia has accumulated enormous wealth from all the cultures which have resided here over the centuries ( Muslims, Goths …) . 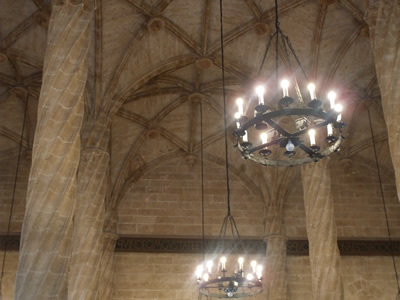 Stroll through Valencia and feel the plurality and evolution of a city where prosperous historical tradition and recent and innovative architecture stand side by side. 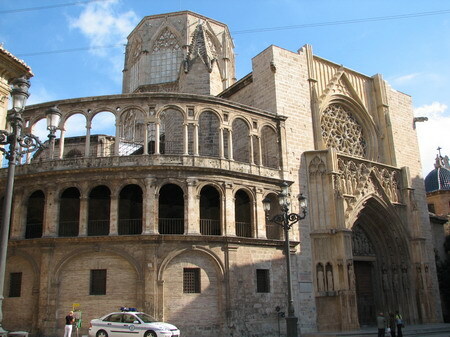 The historic centre with its religious temples, Gothic Barroque and Modernist monuments, the varied and renowned museums, the architectural projects such as the City of Arts and Science, and the Conference Palace are but a few of the many attractions which Valencia has to offer its visitors. 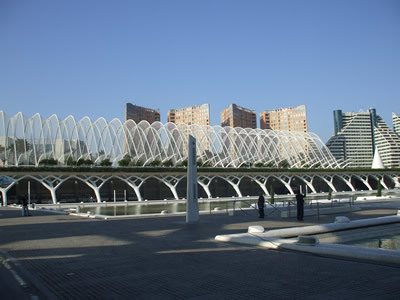 Valencia is one of the main industrial centres on the Mediterranean. 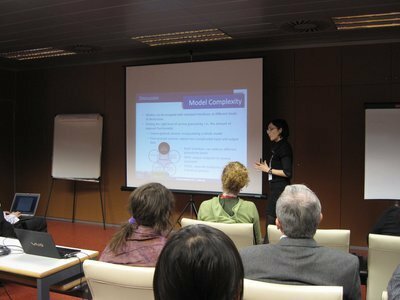 It has also become a European Congress Centre as well as an important focal point for international business and trade fairs. 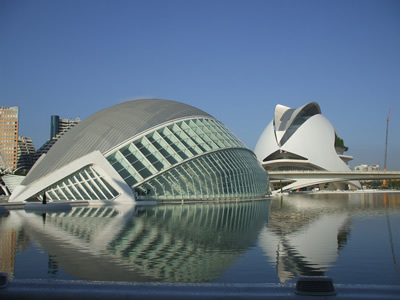 Valencia is a cosmopolitan city and is ideal for commerce and cultural exchange. 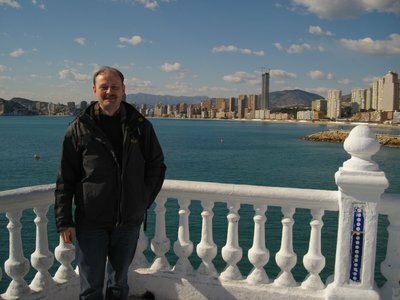 Heavily influenced by the sea since its foundation, the city of Valencia's maritime links are as strong now as they have ever been. Thanks to this close relationship with the sea, its expertise in staging important events and the unstinting efforts of central, regional and local government, Valencia has been selected ahead of 65 other cities around the world as the host of the 32nd America's Cup. 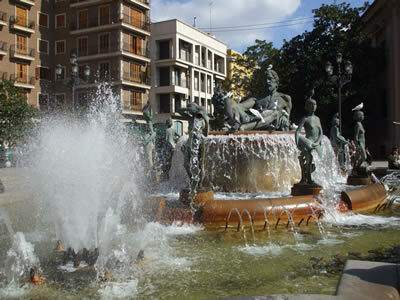 The city of Valencia is bathed by the legendary Mediterranean Sea, root of the Western civilization. One can fight the summer heat at the enjoyable warm beaches. 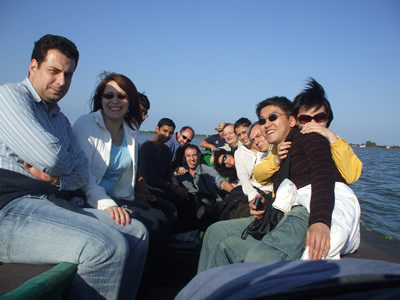 During these dates, its extraordinary seawaters become an ideal space to enjoy your leisure time, the nice weather and the sea. 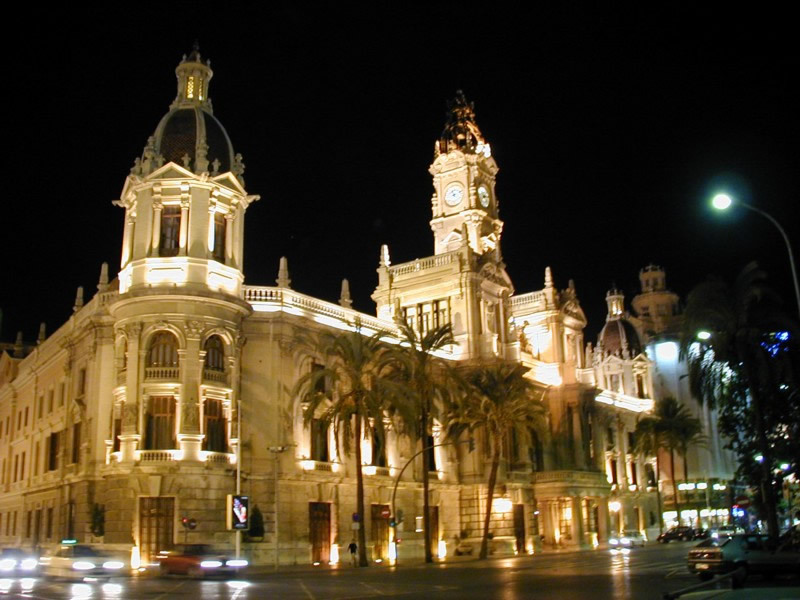 The city of Valencia has a total population today of 807.396 inhabitants and is the centre of an extensive metropolitan area which reaches a million and a half. 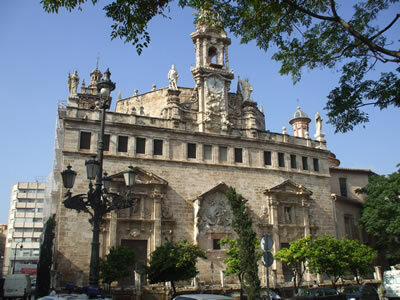 This represents 18% of the population of the Comunidad Valenciana and is, in terms of population, the third largest city in Spain after Madrid (3.099.834 inhabitants) and Barcelona (1.578.546 inhabitants). 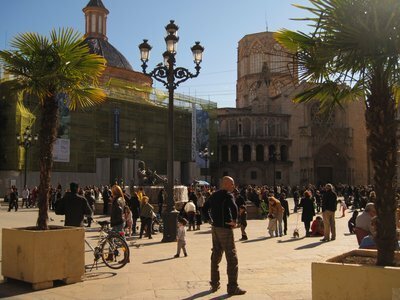 Valencia has one of the most benign climates in Europe. 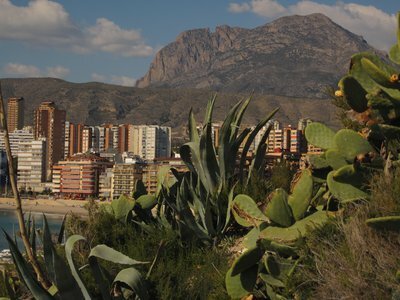 It is characterized by a mild, typically Mediterranean climate, with an average annual temperature above 17ºC. Summers are warm and winters are very moderate. 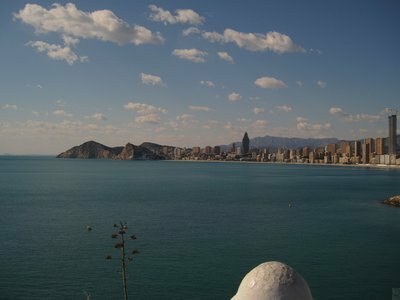 During winter months, the temperature does not usually drop below 10º C. Rainfall is low and shows the typical Mediterranean summer minimum, with two peaks, one in autumn and another at the end of winter and beginning of spring. Weather. 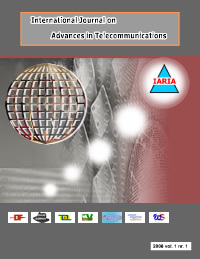 For more turist information click here. 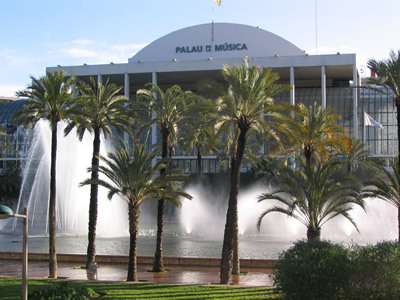 The Fallas, globally known and declared of International Tourist Interest . 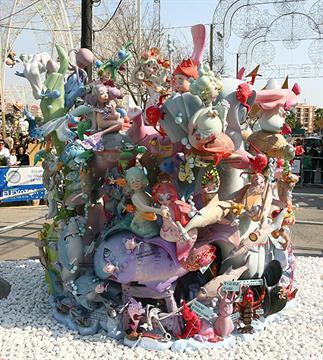 The beginning of spring fills the city with over seven hundred wood and cardboard "monuments", figures representing humorous and satirical themes. The 15th is the "plantà", the grand opening, which is followed over several days by an almost infinite series of events, the most outstanding of which are the Offering of the Flowers, the "mascletàs", or giant firecracker sessions, the "nit del foc", or fire night and of course the "cremà" when all the figures are burnt on the last night of the "fallas". 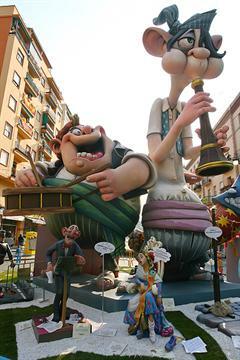 The Valencia region festivity is held each October 9th. 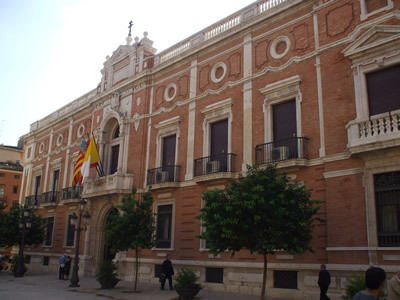 The anniversary of the Reconquest of Valencia by King Jaume I is celebrated with a civic parade presided over by the "Reial Senyera". 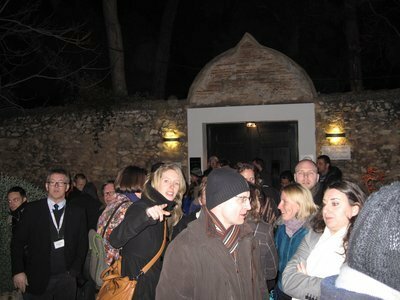 The 9th is also the feast of San Dionís, a special day for those in love in this area. It is celebrated with the traditional "mocadorá", a traditional gift of sweetmeats wrapped in a neckerchief. 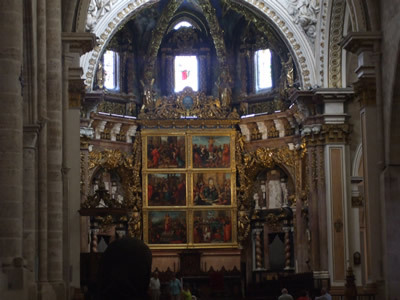 The San Vicente Ferrer festivity prolonges Holy Week, altars are set up in streets and squares in Valencia commemorating the feast of San Vicente Ferrer, the patron saint of the Region canonised by the setabense Calixto III. 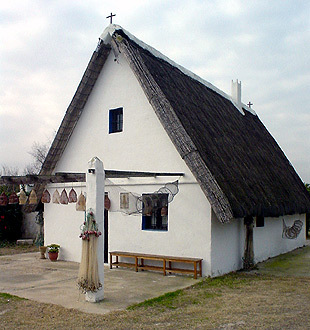 It is customary to visit his house of birth, now converted into a chapel. The Saint Vincent festivities begin on Saturday at midnight with the transfer of the statue to the altar. 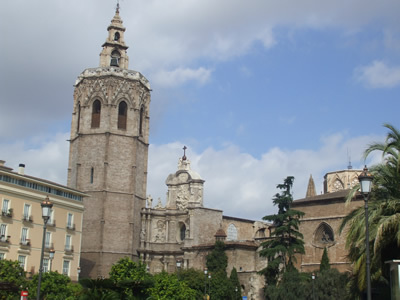 On Sunday the "miracles" take place and on Monday, the Feast Day, the Pontifical High Mass is held and the floral offering is made in the house of birth of San Vicente. 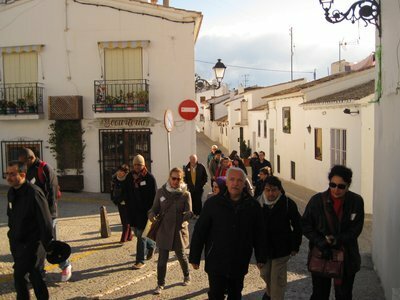 In the afternoon a procession that travels around the Cathedral quarter and then the lowering of the statue from the alter take place. 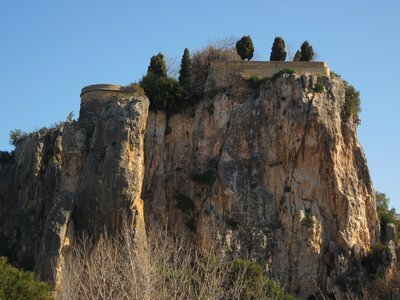 The Mediterranean climate that Valencia enjoys makes it easy to visit the local beauty spots that surround the city and experience the famous natural light of Valencia which gives a special touch of colour to the countryside. 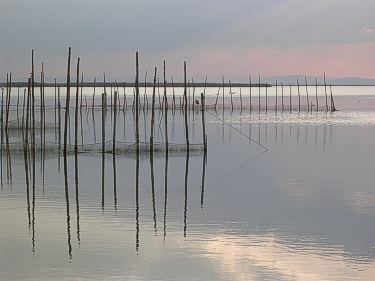 South of the city is the Albufera Nature Park, a small lake created when sediment from several rivers prevented their waters from reaching the sea that now has a six kilometres diameter. The area is dedicated to the production of rice, although the amount of fauna there allows hunting and fishing. 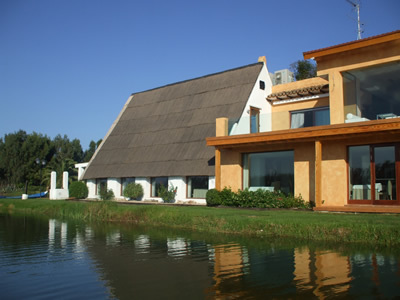 La Dehesa del Mar, close to the sea, is a stretch of countryside formed of pines and sand-dunes in which several prized indigenous species live. 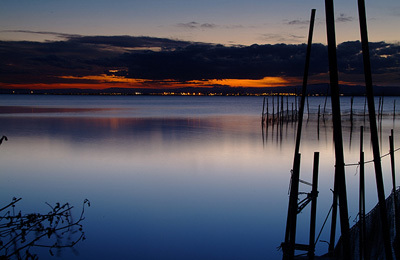 Near, is the small fishing town of El Palmar, set on the Albufera lake, where one can go fishing and for a boat ride. 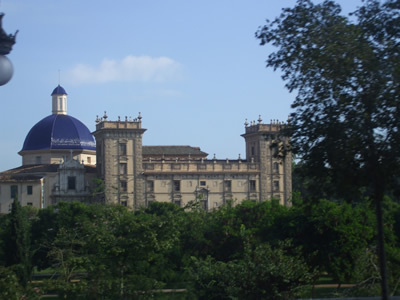 In this park we can see the Valencia’s traditional house. 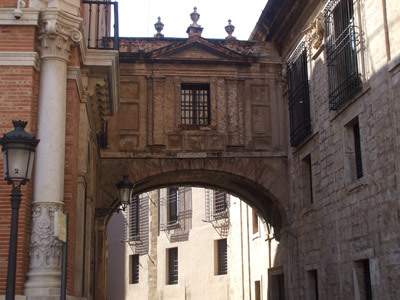 For many centuries this house is known as Barraca. 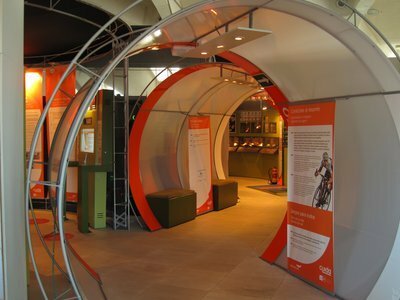 They were made from raw materials such as wood, reeds, clay, and mud. 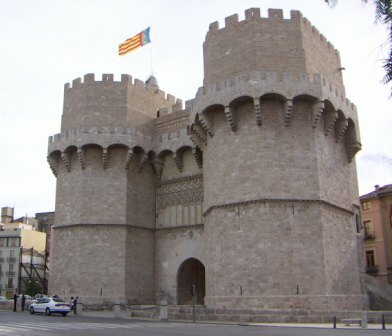 Nowadays, the Barraca is protected thanks to private owners and to private enterprises. 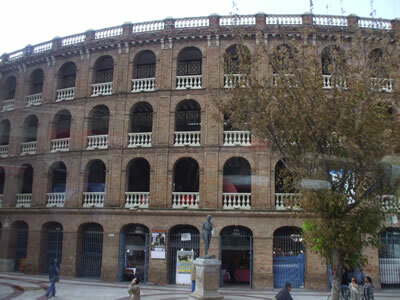 The Barraca is an important asset to the cultural heritage. They typically have two floors. The main floor was normally used as the reception room area where the work in the fields was discussed, and the workers could also sleep. The main bedroom was for the owner, and his family. However, the top floor was often used for keeping the harvest. Around the back of the house, the kitchen and wooden ovens were used for cooking bread and typical dishes from the area. 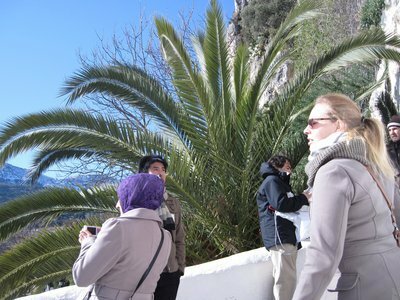 There were also “paelleros” which were commonly used to dry the harvest. 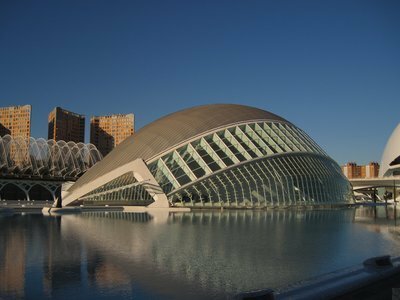 Valencia's gastronomy is based on natural products that are at the origin of the so-called Mediterranean diet, a healthy cuisine simply prepared. 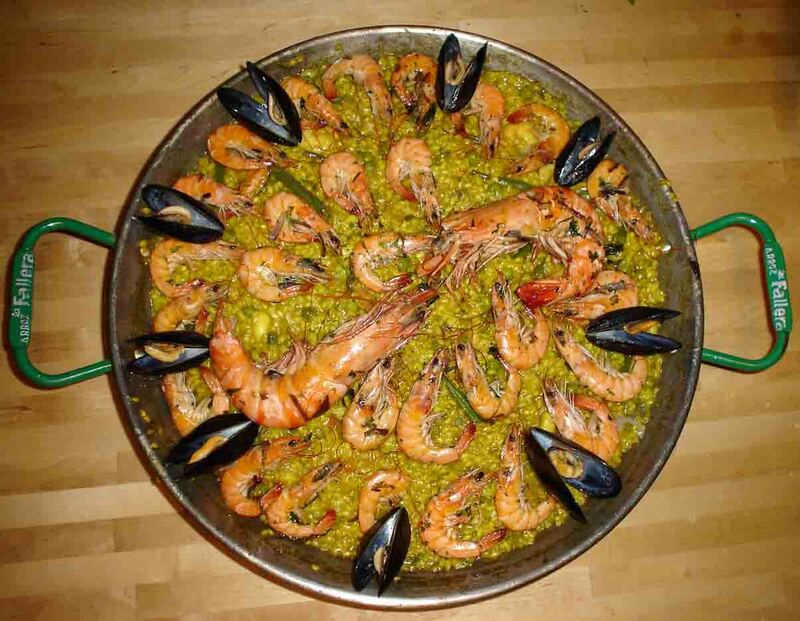 For this reason, the local countryside and the sea are the main providers for Valencia recipes, outstanding of which is the "paella", which can be of meat, shellfish or mixed, holding pride of place on the menu. 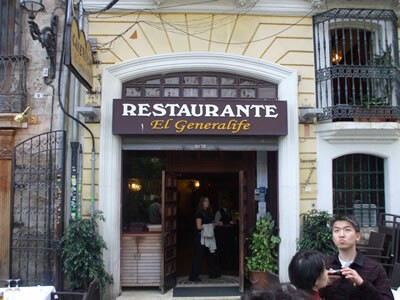 Rice, of course, is also used in a majority of typical dishes, prepared in a wide variety of ways from rice in the oven (al horno), "a banda", prepared with fish, or also black rice done in squid's ink in which it is served. 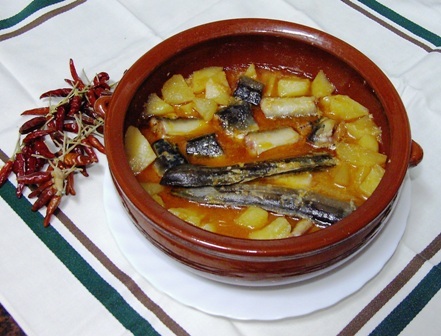 Fish is the main item in many typical recipes such as "all i pebre", a dish of eels seasoned with garlic and pepper, or "fideuà", made of noodles in fish and shellfish broth. 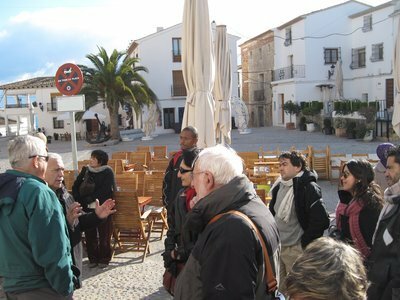 Valencia also offers a wide variety of sweetmeats which, for the most part, are based on cereals and nuts as inherited from Moorish culture. To be tried are the "rosegons", the "arrop i talladetes", or the pastries made of the extract of a kind of sweet potato called a boniato and "cabello de angel" or "angel's hair", made from the extract of a type of local melon. These are popular at Christmas time. For drinks, a wine list exists with a guarantee of origin whose texture and taste have already carried its fame beyond Valencia' s borders. 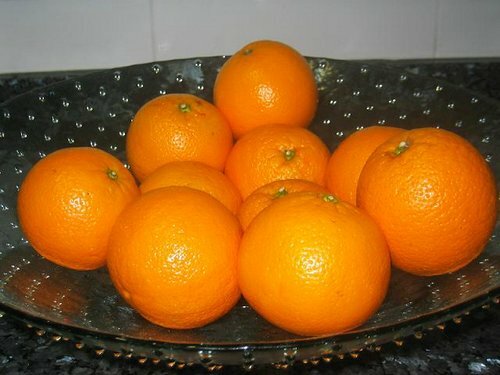 A glass can also be filled with "Valencia water", a mixed drink of orange juice and sparkling wine which adds a delicious touch to Valencia's gastronomy.